Helping customers solve problems and fulfill needs in operating, maintaining, improving and expanding their facility is GreenWood’s mission. Led by an experienced, highly competent management team and on-site work force, we have developed a successful record of providing these services in a cost-effective manner for a growing list of valued customers for over 25 years. 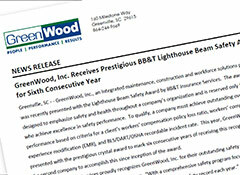 "The MISSION of GreenWood, Inc. is to support our customer by providing high quality and well focused industrial plant services, while promoting a team environment emphasizing safety, cost effectiveness and strong business ethics, developed through long-term partnerships." As a privately owned company, we are able to quickly respond to customers' needs without outside influences. 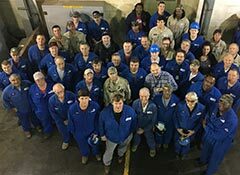 This flexibility is demonstrated by the responsiveness and dedication of both management and workers; by a strong sense of ownership of the customer's plant/facility by our employees; and by GreenWood's proven ability to provide the absolute best in uninterrupted professional services. Safety and quality are always our priorities. And, customer satisfaction is our ongoing focus. That’s what you can expect from GreenWood. 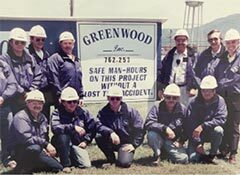 GreenWood was founded in 1990 by John Wood, former President of the Maintenance Division of a Fortune 100 engineering, construction and maintenance corporation, and Allen Green, a regional executive for that company. Beginning with an idea, a dream and limited bank credit line, the two formed a company to serve facility and plant services needs for companies in the Mid-Atlantic and Southeastern states. Two years later, John bought out Allen Green's interest and retained the GreenWood name. 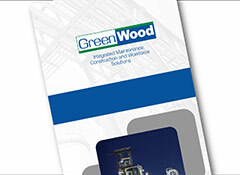 The Wood family continues to own and operate the business with a team of seasoned maintenance, operations and capital projects experts that lead Team GreenWood. By teaming up with companies and associations that align with our core values, delivery model standards and business philosophy, we are able to enhance our solution offering and further strengthen our skill sets in performing project work. In return, our customers receive the highest level service that delivers the greatest value. Our partnerships and affiliations include, but are not limited to, complementing businesses, professional associations and technical colleges. Life & Safety Consultants, Inc.